Dog Poo – Yet AGAIN !!!! Yesterday was a lovely day! One of the best. A day for the Circular Walk, which, of course, involved crossing the Shaky Bridge – at one’s own risk, but then life is too short! Returning to the village via Laggan Wood, a few metres from the Welcome notice close to the car park, a very large pile of very large dog poo! One leaves the Walk with such disappointment and disgust! Anyone joining the Walk at this point must from the very start take avoiding action. Is there no educating the offending dog owners that this is unacceptable? 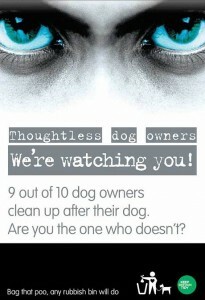 Dog poo can cause blindness and our toddlers and children should not run the risk. 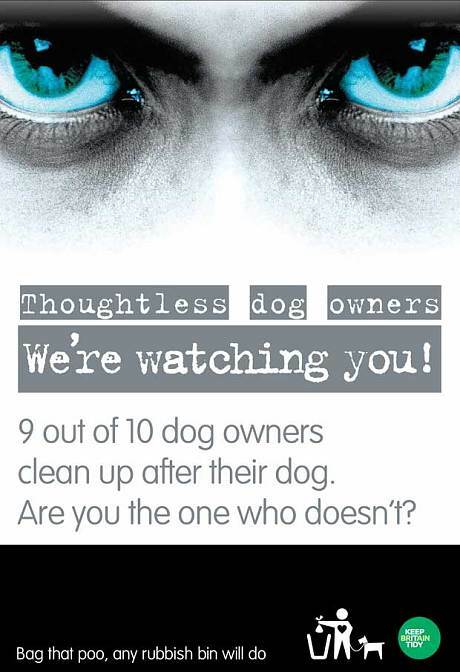 I have posted a picture of a poster I am hoping we might get so watch this space but in the meantime there is an arrogant ignorant group of inconsiderate dog owners who just think they don’t have to bother and it is so annoying. Again there is nothing the Dog Warden can do until we identify the dog owners !